The spring driving season is here and the summer season is quickly following right behind. During this time, friends and family members typically join together and head out for a much-needed vacation. In preparation for the travel season, safe driving advocates with the National Highway Traffic Safety Administration (NHTSA) are warning travelers about the dangers associated with group trips in 15-passenger vans. This warning from the NHTSA is targeting church groups, spring breakers, college students and other groups who may be using these 15-passenger vans. The NHTSA is asking both drivers and passengers to take the proper steps to stay safe, including always wearing a seat belt during every ride to help prevent injury in the event of a van accident in Dedham and elsewhere. The Administration would like to point out that these 15- passengers vans are sensitive to loading, meaning that travelers should be cautious not to overload these vehicles. Overloading these vans makes them a lot more likely to flip, rollover and more difficult to handle. Drivers and passengers are urged to review a few safety rules and suggestions before heading out for vacations. These vehicles don’t drive like our everyday vehicles and need to be handled much differently. Our Massachusetts accident lawyers understand that these vans can be dangerous for travelers, especially when the driver is not familiar with the vehicle. Tire pressure can vary on both the front and the back tires of these vans. For this reason, the NHTSA is asking drivers to make sure that each tire is filled and inflated properly for the vehicle’s load before every trip. You can’t just pack all that you want into these vans. The NHTSA is also urging travelers to using the spare tires sparingly. Tire condition doesn’t hold up forever. Spare tires should not be used in place of worn tires. The NHTSA recommends that tires that are more than 10-years-old should never be used. -Do not overload the van. Make sure you know what the weight limitations are on the van before loading your belongings. -Passengers and drivers should always wear a seat belt, regardless of how short or long of a trip is being taken. -If you own one of these vans, make sure that it’s regularly maintained. Preventative measures can help to cut the risks of accidents significantly. -Owners should have steering and suspension components regularly inspected. Inspection guidelines can be found in the vehicle’s manual. -Be sure to replace and repair parts as suggested in the vehicle’s manual. 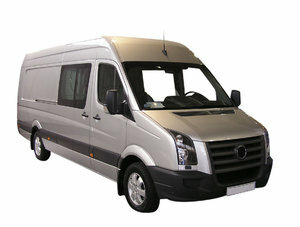 -Tires should fit the load requirements of the van. -Drivers should be properly licensed and should be experienced in driving these kinds of vehicles. -Drivers should be well rested before venturing out. Driving these vehicles requires full and alert attention. -Always adjust side mirrors before starting the vehicle and heading out. -Remember to keep safety as a number one priority. -Obey speed limits and drive slowly. These vehicles, especially when loaded with cargo, are highly susceptible to rollover accidents. If you or someone you love has been injured in a 15-passenger van accident in Boston or elsewhere in Massachusetts, contact Boston Injury Lawyer Jeffrey S. Glassman. Our firm offers free and confidential appointments to discuss your case. Call 877-617-5333 to schedule a free appointment today!